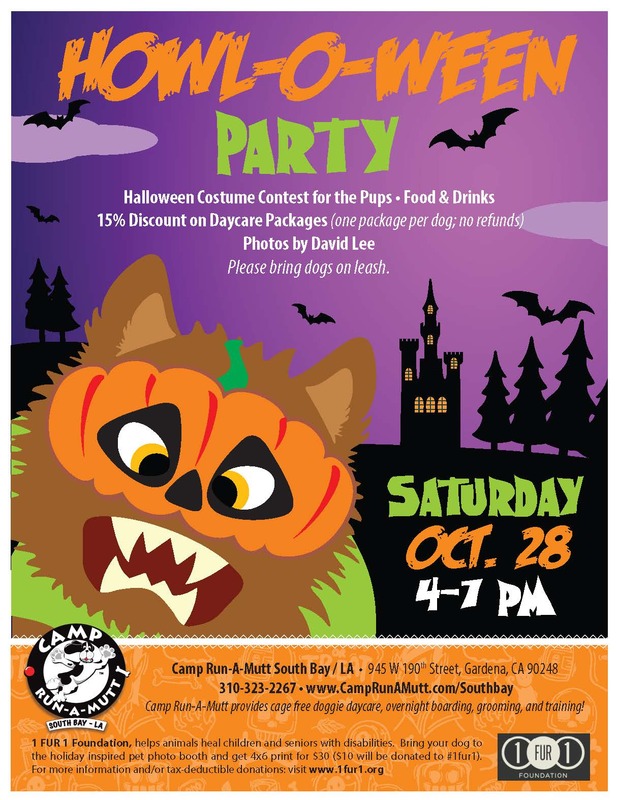 1FUR1 will be participating in this year’s Halloween festivities at Camp Run-A-Mutt. 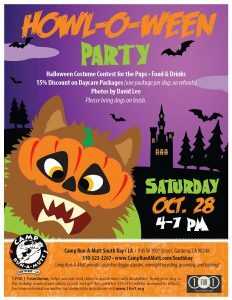 We’ll be giving away doggie treats and various prizes while raising awareness and funds for animal assisted therapy programs. But that’s not all…holiday inspired pet photography will be provided by David Lee. We’ll be setting up a a spooky backdrop for your pet to strike a pose in their holiday costume so you can cherish this memory forever. For $30 you’ll get a high quality digital photo, 4×6 print of the best picture and $10 is donated to 1FUR1 Foundation. All support of 1FUR1’s life-changing animal assisted therapy and activity programs is sincerely valued. All donations are tax-deductible by law – a receipt will be provided to you at the time you pick your photo prints. All proceeds will directly fund the growth of 1FUR1’s Animal Assisted Therapy and Animal Assisted Activity Programs in the U.S.A.